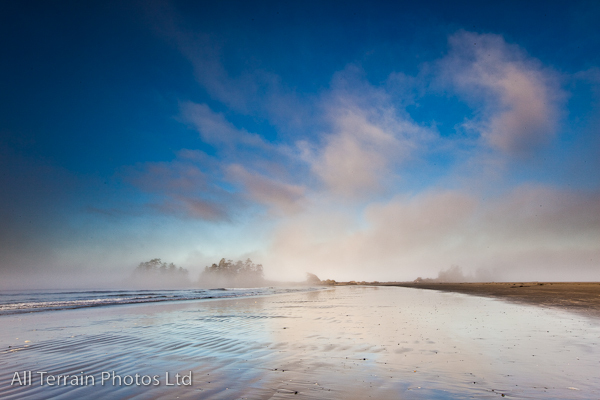 Dawn on a stretch of beach a few miles south of Tofino on the west coast of Vancouver Island, Canada. No another person around for miles, just the gentle lapping of the Pacific ocean against the shore. Mist was rising from the land, creating a very other-worldly effect. Holiday season was well over and the temperature was only a just in double digits. Still, one of my favourite beaches in Canada.